:Are you ready to go on an adventure - an adventure with God? His Word is all you need to tackle this journey that we are all on - the journey of life. Read his instructions and then discover God's rescue plan for the world through his Son Jesus Christ. When you're exploring God's Word - get ready for the ride of your life! 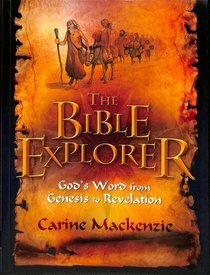 About "The Bible Explorer: God's Word From Genesis to Revelation"